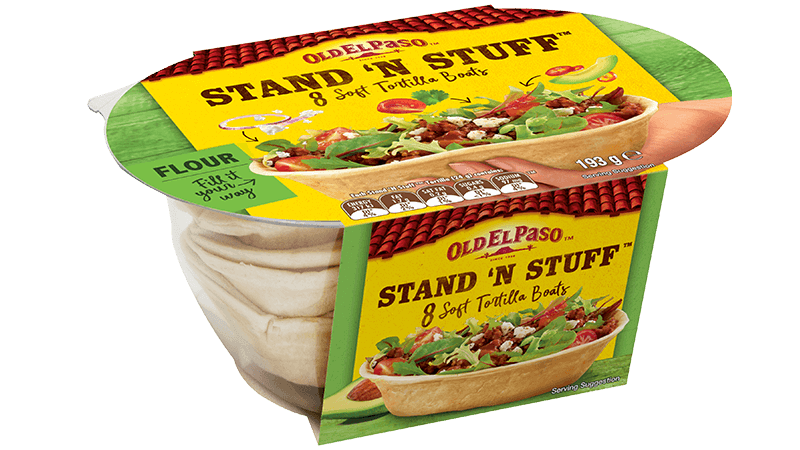 Stand 'N Stuff™ Tortillas are sure to have everyone around the table in minutes. Its unique flat bottom means these soft tortillas stand up on your plate and are super easy to fill, hold and eat. What's more, filling up your tortilla is now even more fun! Fill them up with your favourite classic fillings or get creative and mix it up - the possibilities are endless. Share the fun and spirit of Mexico with this new crowd pleaser.